by Moni - 14 Comments. As the internet increasingly becomes the main frontier of commerce, more businesses are digitizing their operations, and this has opened thousands of part-time home-based work opportunities. However, there are also thousands of scams posing as legitimate work from home jobs, which makes it’s imperative that you be on the lookout when searching for jobs that you can do at home in your spare time. One rule of thumb you should follow is that if it sounds or looks too good to be true, then it probably is a farce. Most part-time home based job opportunities are online, but there are a few that you can also do offline to make some easy cash. If you want some extra cash to augment your primary income, or have spare time you wish to put to good use, then you should check out these legitimate home based opportunities. Virtual assistance or VA is a booming side hustle as more businesses continue to move their operations online. As a virtual assistant, you will be responsible for organizational, administrative, technical and creative functions. Some of your work will include tasks such as composing and responding to emails, responding to business and media enquiries, content creation, writing, creating and distributing documents related to the business, and others. The great thing about VA is that you can work for multiple clients simultaneously to increase your earnings. All you need to have are the skills required by clients, a working internet connection, a phone, and a computer. 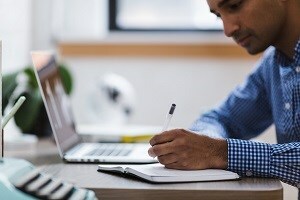 There are plenty of opportunities for VAs in a diverse number of industries, and you can join freelance sites such as Upwork.com to kick-start your VA career. Depending on the client, job requirements, and the platform where you offer your services, a VA can earn $15-75 per hour. If you are fluent in two or more languages, you can leverage your language skills to earn extra cash in your spare time. 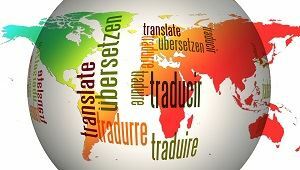 While some translation jobs may require a college degree, the basic requirement for most is that you are proficient in the two languages that need translating. Like virtual assistants, translators often work at home via an internet connection, but most translating assignments come with strict deadlines, as per the Bureau of Labor Statistics. Industries that employ translators include scientific services, professional services, and technical services. Educational and governmental services also hire a lot of translators. For a start, you can join freelance sites that offer translation gigs and then create a website when you become well established. 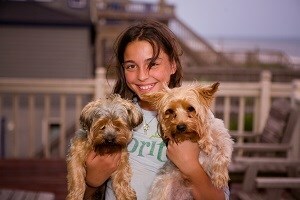 If you have a soft spot for pets, then you can make some extra cash petsitting other people’s companion animals. As a petsitter, you set your rates, and you can decide to go to the pet owner’s house or that they bring the animal to your place. Either way, you will have fun, move more, and earn more while sharing so much love with adorable animals. You can start by signing up to become a sitter at DogVacay or Rover. You can make up to $1,000 per month petsitting. UPDATE: DogVacay and Rover have now merged. Transcription is one of the few jobs you can do without any prior experience as it requires making written documents from audio files. That is, you will listen to audio files and type out whatever you hear. However, some transcription jobs may require some level of experience, such as the case of medical or legal transcription. All you need is a computer with a working keyboard and internet connection. You can make your work easier by getting a quality headphone and transcribing software which can help you slow down the audio so you can pick the exact words. Transcription jobs are flexible, making it one of the most popular home-based job opportunities. You can make up to $25 per hour as a transcriptionist. You can register with Quicktate.com or TranscribeMe.com to start getting offers, but you may have to write a short test before receiving a paid task. If you can pay attention to details while surfing the internet, this role might be for you. As a website tester, you get paid by companies to help them test the intuitiveness, ease of navigation, and general user experience of their websites. Most website testing tasks take an average of 10-15 minutes to complete, and you can earn $10-$15 per test. Also, test opportunities depend on your availability when the test comes online, so it’s advisable to register with many companies so you can increase your chances of getting more jobs. Most website testing jobs may require a webcam and microphone, but these are standard features of modern laptops. However, you can get one cheaply if you are using an old desktop computer. 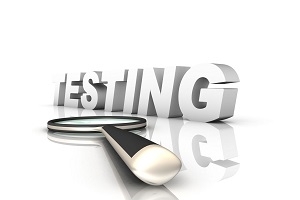 You can start with UserTesting.com and register with several companies to get as many tests as possible. If you are adept at conversing with people on the phone without losing your cool while on the computer, this role is for you. Several companies are willing to pay people who have excellent people skills and above average computer skills to work as customer representatives. Your work could involve resolving a conflict, finding the model of a product, placing an order, etc. You can do this full time or part time, but you have to be available for a specific number of hours per day. 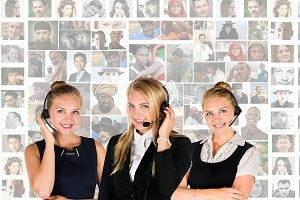 There are countless numbers of customer service opportunities, and many big companies such as Hilton, HSN, and Spiegel all use home-based customer reps. Some of the big names in the home-based customer rep industry include Arise, VIPdesk, and Alpine Access. In fact, some companies will hire you as their staff and pay you benefits. But you can also work as an independent contractor and earn $8-$20 per hour in your spare time. If you are fluent in a foreign language, have expert knowledge in a particular field, and have the time to spare, you could make $12-$35 per hour tutoring students online. This role requires teaching students who need help mastering some subjects, mostly via the phone or Skype for about 30 minutes or one hour. Many websites offer this opportunity including Tutorzilla.com and Tutor.com. Expect some background check before being hired as you will be working directly with children. As a freelance writer, you will be helping websites, and other internet-based businesses create content for a fee. There are millions of websites on the internet, and they all require interactive and engaging content to populate their websites. 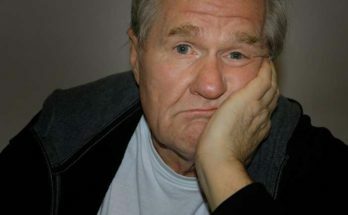 Many of them find it cheaper to outsource their writing functions rather than keep an in-house writer on their payroll. You will help them come up with creative ideas, write articles, blog posts, newsletters, press releases, white papers, and so on. And you don’t need a degree in English to become a freelance writer, although it helps if you have a good grasp of grammar, proofreading, and editing. As a freelance writer, you can earn as low as $1 and as much as $1000 for a 500-word article. It depends on your skills, the platform from which you operate, and the kind of clients that buy your writing services. There are so many part-time jobs you can do from the comfort of your home, and there are also many scams which are out to fleece you of cash. The key is to be vigilant, follow due diligence, research, and don’t be too greedy. Be wary of any job that promises pay that’s not commensurate with the skill or effort required to do the job. Also, don’t register for any job that asks you to pay before you can start working as its most likely going to be a scam. And remember you need hard work, sacrifice and patience to excel in these jobs. I hope you enjoyed this post and if you have any questions about home-based work or you just want to leave your own personal experience, leave a comment below. I would love to hear from you! Next Article What Is the AZ Code About? I’ve tried website testing before. I just feel like the pay isn’t worth the hassle of trying to meet the company’s criteria. They’re so strict and in the time it takes me to create a site review that’s up to their mysterious standards, I could have cranked out 3-4 posts for my own website that could potentially earn me hundreds, if not thousands of dollars in the long run without having to do more work on those 3-4 posts. So, I agree that while these are nice ways to make a little extra money if you’re on a budget and need some quick money, you’re better off spending your spare time creating an online business that’ll earn residual income as long as you work hard to establish your online presence when you start. Hi Aria, thank you for stopping by and taking the time to leave a comment. Aria, you are absolutely right all things being equal starting your own website and adding valuable content can give you a residual income however that does take time and requires a lot of effort. For serious income from my experience, depending on your niche it can take 2-5 years. The tips in this article are to help people who may be working and want to supplement their income in any spare time they have. super interesting and helpful article. makes me want to hound down on my skills and make some extra moola…. thanks a BUNCH! Hi Riley, thank you for stopping by and taking the time to comment. Will definitely be checking out Online tutoring. I came across some other sites before which I didn’t get any leads from. So will definitely checkout tutor.com ….Wish me luck! I am happy you found the ideas helpful. 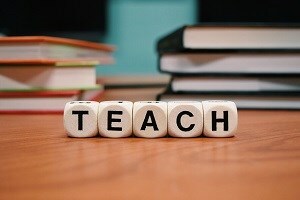 Online tutoring is a great way of making money. I have a friend who teaches English online. She works her own hours and is making a very comfortable living from home. Go for it and let us know how you get on. Wish you much success! Lots of great choices. I am really interested in the virtual assistant, that seems like it would be an easy job for me. I am a dog sitter now for Rover. I just want to let you know that Dog Vacay and Rover merged, and Dog Vacay is now part of Rover. Just so you can correct this post 🙂 I do have to say that it is a great way to make money. Of course, I love dogs! Thank you for the heads up on DogVacay and Rover merger. I have added an update to the post. This is a great list of part-time home-based work you’ve shared Moni. It just goes to show that there are so many options for people to supplement their income. 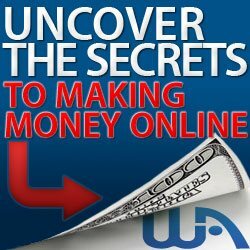 I’m sure your article will help many people looking for an extra income online. Hi Stephanie, thank you for stopping and taking the time to leave a comment. For someone looking to supplement their income, the internet provides too many options but most people have no idea where to start. With this site, I am trying to make people aware of their options as well as make them aware of the scams online to avoid. Thank you so much, I enjoyed reading your article. I am into internet business so was looking for different opportunities available online and you answered most of my questions. Hi Nagonidzashe, thank you for stopping by and leaving a comment. I am happy you found the post helpful. Hey Moni, was looking into a part-time job to supplement my primary income during the summer holiday. I am glad I run across your site. Lots of great information here. 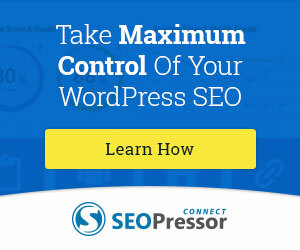 I am interested in “Website Testing” and want to try it out. Do you have any suggestion for a complete newbie how to start? Thank in advance. I am coming back for more tips. Hi Maun, thank you for stopping by and taking the time to comment. Maun, if you are just looking to supplement your income with a part-time online job website testing is one way. 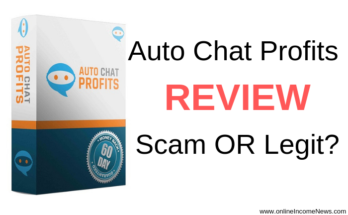 If, however, you are looking to build an online business then I highly suggest you check out the review of my #1 Recommended Training Platform Wealthy Affiliate. You can start with FREE Starter Membership and see if it is right for you.